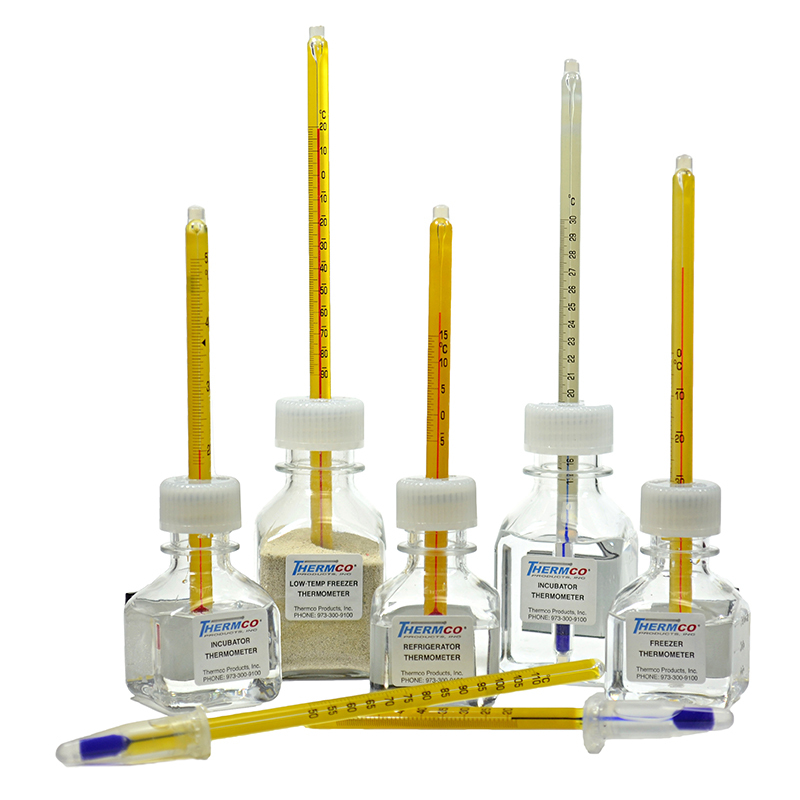 Thermco’s Precision Liquid In Glass Thermometers are manufactured with the finest glass manufactured under ISO2001 guidelines. Each thermometer is individually serialized and calibrated against standards traceable to NIST & DKD in our PJLA approved calibration laboratory. 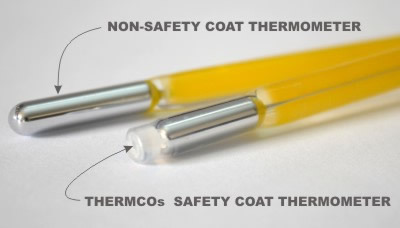 Thermco has an extensive line of LIG Red & Blue Spirit Non-Toxic Thermometers, Mercury (Hg) Thermometers, PTFE Safety Coated Thermometers, for use in laboratories, universities, pharmacies & healthcare facilities, breweries and distilleries and more. 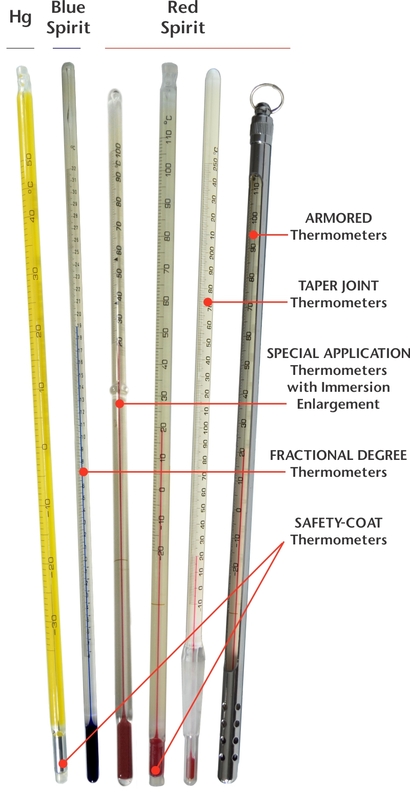 We also carry a full line of ERTCO direct replacement Thermometers.